We offer a time-is-of-the-essence professional dry cleaning and ironing service with an unmatched courteous and prompt service. Save from the hassle of rushing after work and scheduling in a lunch break to get your shirts and suits cleaned. 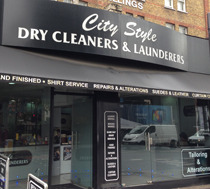 No matter what your requirement, City Style provides a premium hassle-free range of services so you can have more time for all important quality down time.